Saudi Arabia may behead a disabled man for allegedly taking part in protests, a UK human rights groups says, adding that he has been subjected to torture that has worsened his medical condition. Munir Adam, 23, was arrested during protests in Saudi Arabia’s Eastern Province back in 2012 when he was 18, a group of international lawyers and investigators based in the UK called Reprieve said in a statement. The man has “impairments to both his sight and his hearing” that resulted from a childhood accident, the organization said. His medical records reportedly confirm the disability, and doctors warned that further trauma “could worsen his injuries.” However, that apparently didn’t stop police from beating Munir so “badly” that “he lost all hearing in one ear,” Reprive said. “Munir Adam’s appalling case illustrates how the Saudi authorities are all too happy to subject the most vulnerable people to the swordsman’s blade – including juveniles and people with disabilities,” Maya Foa, a director at Reprieve, said. 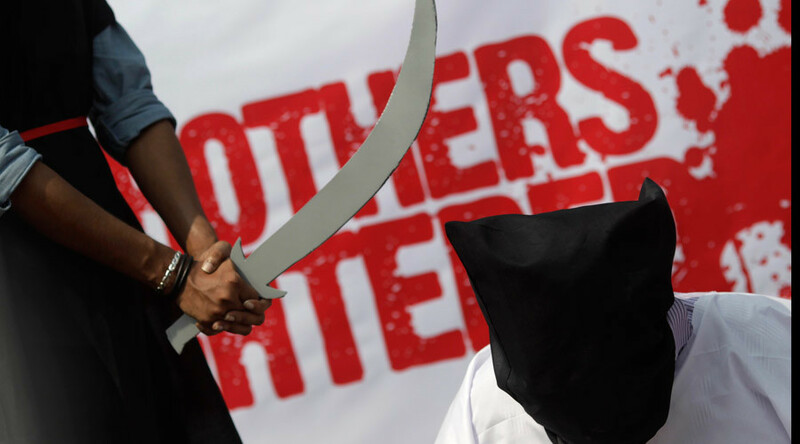 The Saudi Specialized Criminal Court reportedly sentenced the man to death. According to the group’s statement, he wasn’t allowed access to a lawyer and was forced to write his own defense. Among the charges he faced was using his mobile phone to organize protests. However, according to the group, the man said he “had only signed statements under torture,” as he is from a poor family and has never had a mobile phone. “Munir was arrested for allegedly attending protests, and tortured into a ‘confession’ – he was beaten so badly that he lost his hearing. It’s a scandal that Munir now faces beheading on the basis of a bogus statement that he has since recanted,” Foa said. The Specialized Criminal Court has also worked on the cases of Dawood al-Marhoon, Ali al-Nimr, and Abdullah al-Zaher, who were all handed death sentences as children for allegedly committing offenses related to political protests. “Saudi Arabia’s close allies – including the UK – must urge the Kingdom to release Munir, along with juveniles and others who were sentenced to death for protesting,” Foa added. At least 158 death sentences were carried out in Saudi Arabia in 2015, the third most executions for any country, after Iran and Pakistan, according to Amnesty International. In October of this year, an AFP tally showed that the kingdom had executed at least 134 people.